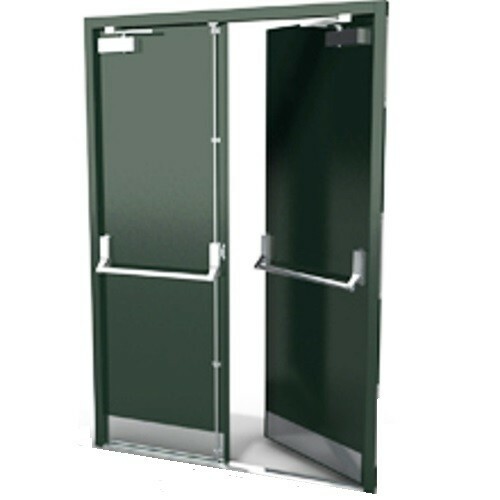 Door Leaf Construction Manufactured from 1.6 or 2.0 zintec steel, double skinned with interlocking seams reinforced vertically with interlocking channels and horizontally with tubes to prevent twisting. Spaces are filled with dense Rockwool. Astragal to leading edge. 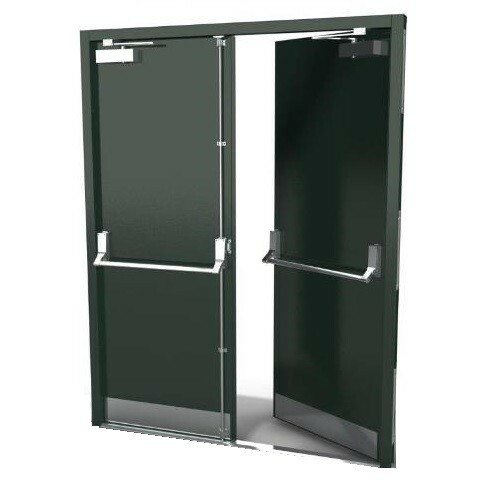 Description: Manufactured from 1.6 zintec formed to single or double rebated profile in welded or knock down form, reinforced and fitted with fixing plates. Depth of frame can vary to suit brick, block, and steel work or to span a cavity. Finish: Factory Finish Etch Prime, Powder Coated also Available. Certification: Both our Single and Double Door Sets have successfully achieved 6 hour Fire Rating in conjunction with BS 476 parts 20 & 22. The maximum size we can issue Fire Certification for is 3.12 SQ mtr per leaf. 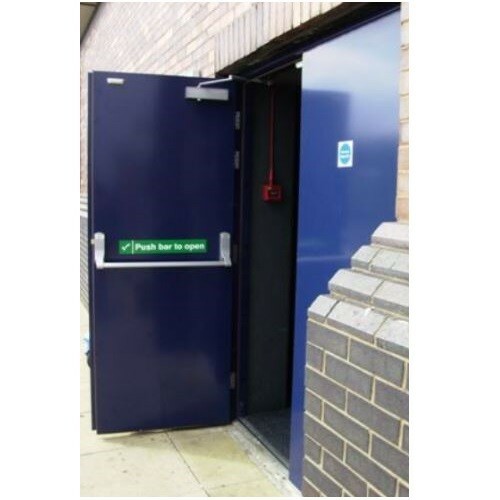 If the required Structural opening exceeds the above dimensions, Fire Rated Side panels / Over panels can be used.